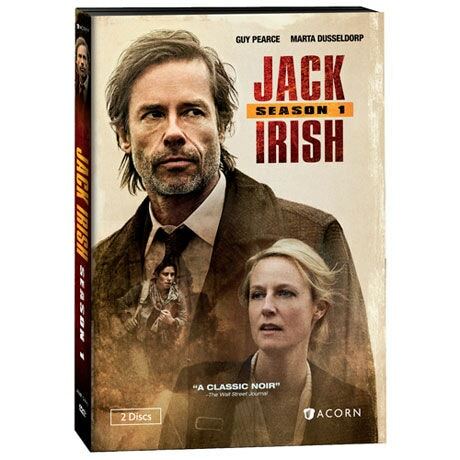 Emmy® winner Guy Pearce (Memento, Iron Man 3) returns as Jack Irish, the brooding, alcoholic Australian antihero of Peter Temple's award-winning crime novels. 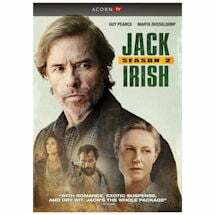 When a man he is hired to find is killed in front of him, Jack suspects a set-up, and the case spirals into an international conspiracy. Meanwhile, Jack's on-again, off-again girlfriend, journalist Linda Hillier (Marta Dusseldorp, A Place to Call Home) is in Manila following a story. Their cases eventually intertwine in a complex narrative brimming with dark humor and memorable characters. "A classic noir"-Wall Street Journal. 6 episodes, 5 1/4 hrs, 1 DVD or 2 Blu-ray discs, SDH. Mature audiences. When the only witness to a massacre in the Philippines returns to Australia, she is kidnapped just after sending a cryptic text to her friend, Jeanne. 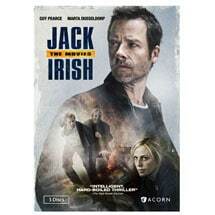 Jack becomes involved when he is employed to find Jeanne's boyfriend. Meanwhile, Linda's new job in Manila is off to a rough start. 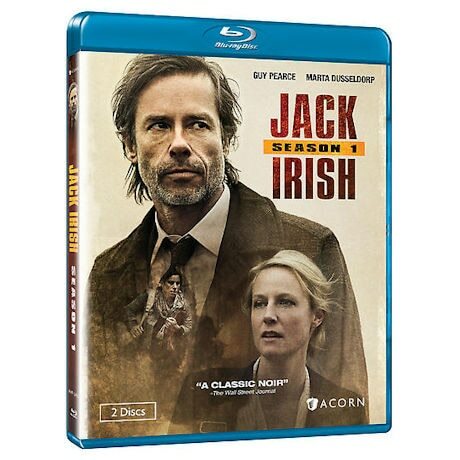 Jack tracks down the woman who gave him an alibi, and she turns out to be the attorney general's daughter. Because of his connection to Jack, Barry faces suspension pending an investigation. Jack asks an increasingly frustrated Linda for help finding out who put a large sum of money into his account. Continuing his search for the people who set him up, Jack convinces his lawyer to give him the name of the witness against him. Jack and Sarah visit her father, the attorney general, to get more information about Tina. In Manila, Orton catches wind of Linda's investigation into the bank. Linda and Orton stumble upon the ruined village but are forced to flee when violence erupts. After Tina's body turns up, Jack and Sarah attend Tina's funeral service at the Way of the Cross, where a churchgoer invites Jack to a "good grief" meeting. While Jack recuperates in the hospital following the bomb blast at Sarah's workshop, Harry decides to move the horse to Jack's courtyard. Linda rushes back to Melbourne to see Jack, but their reunion is less than amiable. Jack is in the frame for Pastor Rob's murder, despite Barry's efforts to buy him time to solve the case. Worried about how an arrest might affect the horse race, Harry has Jack stay with him. Back in Manila, Linda finally gets her interview, but under hostile circumstances. Rating: NR.Contains violence, strong language, and sexual situations.